* RJ Casey on Nick Drnaso's SABRINA: "With this graphic novel, Drnaso somehow begins to dissect how technology and the hyperspeed news cycle create a recipe for numbness, aided by his flat expressions, clean line, and adept coloring." * Robin Enrico reviews MY DEAD MOTHER by Clara Jetsmark, "a work that functions well from surface level all the way down to its depths, with multiple re-readings revealing many subtle details" and one that deserves wider attention. * Shea Hennum on A. Degen's SOFT X-RAY/MINDHUNTERS, writing "But giving yourself over to a comic and simply enjoying what it offers -- the process of thinking about what various images could mean rather than being told what they do mean -- is a rare pleasure." * Irene Velentzas reviews THE WINNER by Karl Stevens, which "marks a new form for Stevens that makes Stevens' self-documented life and experience the bedrock of the book and organically shows how imaginative and existential creations are born from the reality of our everyday experiences and relationships." * Angelica Frey takes a look at Ellen Forney's ROCK STEADY: BRILLIANT ADVICE FROM MY BI-POLAR LIFE, which is "easy and comforting to consult for some issue-specific advice and relief." * Robert Kirby reviews Jessica Campbell's XTC69, which holds "a mirror up to male chauvinism and misogyny and reflecting it back with merciless aim." * Andy Oliver on UNFINISHED ... 3 POEMS by Tom Neely which opens up "fascinating questions about the symbiotic relationship between artist and audience in terms of original intention and both reader interpretation of and interaction with the work." * Andy Oliver ALSO review Cat Sims' BLACK MATTER, writing that it "plays on a combination of pop cultural standards and stark social commentary, presenting a story that uses zombie horror overtones to embellish its psychogeographical explorations." 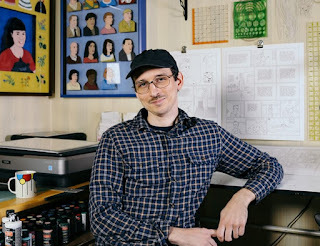 * Ryan C. looks at a bunch of books by WHIT TAYLOR, highlighting Taylor's unique voice and cartooning. 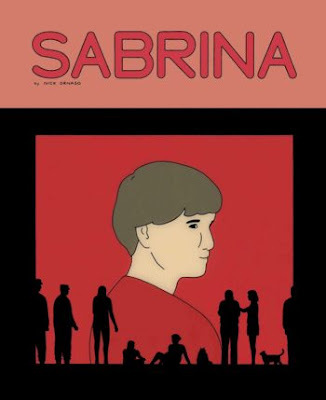 * Rachel Cooke interviews NICK DRNASO and interweaves it with some thoughts about Drnaso latest book, Sabrina. * Carta Monir has a piece up on Them called I'M A DISABLED TRANS WOMAN WHO LOVES TAKING SELFIES. She subtitled this, "Taking selfies has helped me fight gender dysphoria and gain control over my own image and visibility." * Christian Hoffer talks shop with comics retailer JAKE SHAPIRO, owner of Fantom Comics located in Washington D.C., "about inventory management and how his store deals with unsold backstock." * There's a new Tara Booth comic on Vice called TRYING TO BE POSITIVE. * Meg Lemke presents three excerpts from Marnie Galloway's book SLIGHTLY PLURAL. * Elisabeth Cohen writes about "books that shine light on the inequities and absurdities of the capitalist machine" in her piece called 7 OVER-THE-TOP COMEDIES THAT CRITIQUE CAPITALISM. * The Tablet site devotes itself to REMEMBERING PHILIP ROTH. * And finally, given the news, Gabriel Roth has a previously published piece revamped for Slate called A GUIDE TO THE MANY, MANY BOOKS OF PHILIP ROTH. Any piece that refers to American Pastoral as "Roth's most fully realized work" is clearly written by someone who understood the author's oeuvre.